Microsoft (NASDAQ:MSFT) recently announced the latest version of its Office productivity suite for Windows and Mac. Microsoft Office 2019 and Office 365 ProPlus started rolling out September 24, introducing some new features small business owners may find useful for home and office use. Office 365 ProPlus, the cloud-based subscription version of Office, on the other hand, is touted as the most productive and most secure cloud-connected Office experience—with the lowest total cost of ownership for deployment and management. “The new enhancements in Office 2019 are a subset of a long list of features that have been added to Office 365 ProPlus over the last three years,” Spataro said in a blog post announcing the latest Office releases. 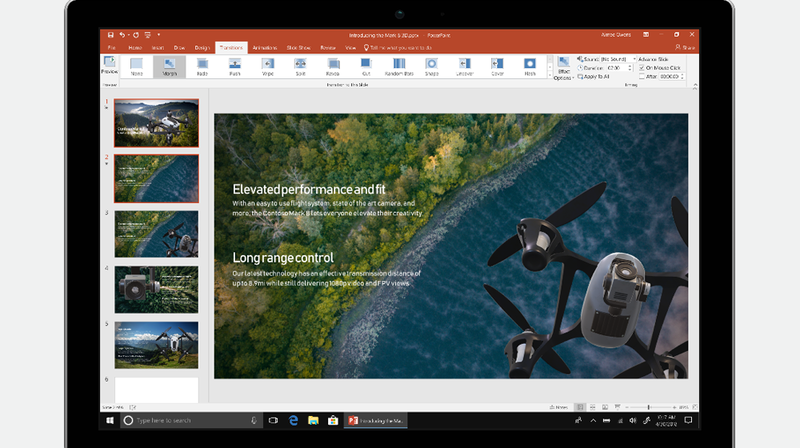 Microsoft says Office 2019 provides a set of valuable enhancements for customers who can’t be cloud-connected or receive regular updates, including apps to help users create amazing content in less time. PowerPoint 2019: Lets you create cinematic presentations with new features like Morph and Zoom. It also includes improved inking features across the apps in Windows—like the roaming pencil case, pressure sensitivity, and tilt effects—allowing you to naturally create documents. Excel 2019: Adds a set of powerful new data analysis features, including new formulas and charts and enhancements to PowerPivot. Word 2019: Includes learning tools, like Read Aloud and Text Spacing that make it easier to engage with your content, and Focus Mode that blocks out distractions and puts your content front and center. Among the advantages of C2R that Microsoft lists are predictable monthly security updates, up-to-date apps on installation, reduced network consumption through Windows 10 download optimization technology, and an easy upgrade path to Office 365 ProPlus. Office 365 ProPlus will continue to add new features on a monthly basis, including innovations in collaboration, artificial intelligence (AI), security, and more, according to Spataro. Microsoft seems to be positioning Office 365 ProPlus as its preferred option for commercial users, considering that the tech giant made it clear Office 2019 is a one-time release and won’t receive future feature updates. You may have to purchase the subscription version to get the best features of Office. Office 2019 is already available for purchase to commercial volume-licensed (trusted) customers, but regular folks and commercial customers will have to wait a few weeks to purchase the program. Other services such as Exchange Server 2019, SharePoint Server 2019, Skype for Business Server 2019, and Project Server 2019 will also be released for businesses in the coming weeks.